The internets are buzzing with news about the announcement in Nature (of a discovery back in September 2003) of a new pygmy hominin species named Homo floresiensis, apparently a local island specialization of Homo erectus. These folks lived on the Indonesian island of Flores, happily hunting pygmy elephants and giant rats, until a volcano did them in about 12,000 years ago. 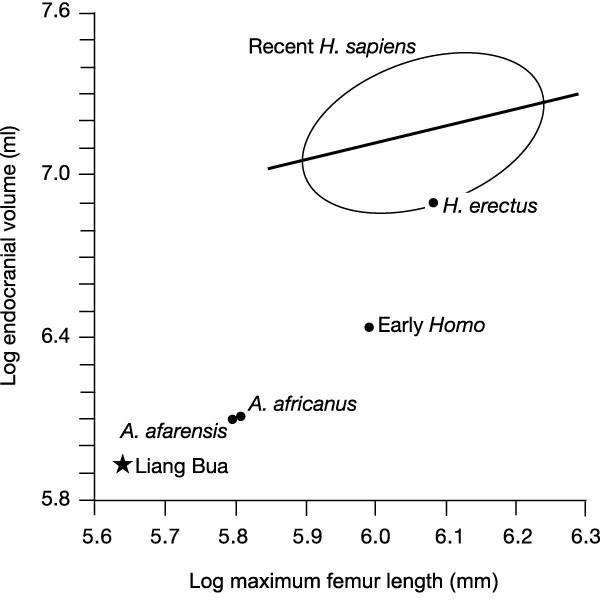 The primary papers in Nature are "A new small-bodied hominin from the Late Pleistocene of Flores, Indonesia", by Peter Brown et al., and Archaeology and age of a new hominin from Flores in eastern Indonesia, by M. J. Morwood et al. There's also a discussion paper "Human Evolution Writ Small" by Marta Mirazon and Robert Foley, a news piece by Rex Dalton entitled "Little Lady of Flores Forces Rethink of Human Evolution", and an interview with Brown and Morwood. (Some of this stuff will only be accessible if you have a subscription to Nature, alas). 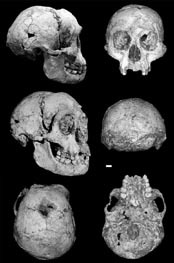 Although it was a member of our genus, H. floresiensis is unlikely to have contributed to the gene pool of H. sapiens. So for me, its importance is not in the evolutionary story of modern humans, but in how the broad group from which modern humans evolved may have adapted and evolved to different ecosystems. Other headlines (e.g. in the NYT) use more appropriate words like "cousins" rather than "ancestors". Never mind chimpanzees hunting cooperatively, what about wolves? so maybe such measurements are not possible or at least not believable. If the transcript is accurate, this is a very odd use of the word appalling, which for Brown has apparently been bleached of its negative connotations and just means something like "very surprising". Well, surprising it certainly is, but appalling? I don't think so. Unless this is a covert reference to the "mashed potatoes" or "soggy blotting paper" consistency of the skeletons, which some might consider at least yucky.